This episode, Jaime Lee Moyer (@jaimeleemoyer) joins me to discuss Historical Fantasy and basically drops a huge pile of To Be Reads across many genres and eras. Also a review of Sorcerer of the Wildeeps from Leslie Light of Black Nerd Problems. My guest this episode is Jaime Lee Moyer, an author who lives in San Antonio. She writes books about murder, betrayal, and kissing, an activity her cats approve of, even the kissing. She’s the author of the Delia & Gabe books, and also a poet, editor and reader. We’re going to talk this episode about historical fantasy among other things. But I think we will start as we often do just with a little bit of your history with the genre - how did you get into reading SFF, has it always been there, was it something you drifted in and out of? JM - Once I got into SFF, I never left. When I was a kid my mother would take all of us to the library at least once a week. There were four of us, we would walk down the streets of LA to wherever the closest library was where we were living, and we were allowed to check out as many books as we could carry. 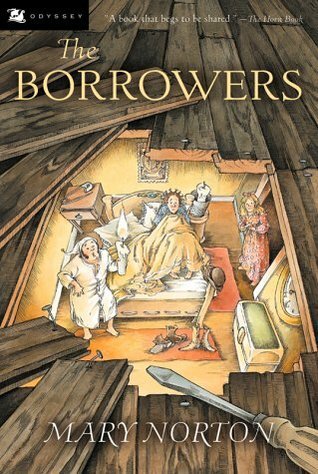 And I discovered, the first book I remember reading was The Borrowers, which is a fantasy book by Mary Norton, a British author, and it's about a race of people, small people, that live in the houses unseen, unheard, and unnoticed. And I fell in love with that book, and it was the first in a series, and I read the whole series and then I went looking for more. And as I went on, I discovered Bradbury and Heinlein and Asimov and once I took off, I just kept going. JSM - OK, so you went from the borrowers to spaceships it sounds like? JM - I did. When I was younger, the majority of what I read was Science Fiction. And I loved all of it. I loved being in other worlds and other places, but as I got older, and became an adult, fantasy became my first love. I still, I still love Science Fiction, I still read science fiction, but my heart is really in fantasy. JSM - And are you an omnivore, do you stay very close to the genre, do you differentiate fiction & nonfiction? JM - Oh yeah. My friends actually laugh at me because I'm a dyed-in-the-wool fantasy writer & the vast majority of my nonfiction reading is science. JM - I've read through entire sections of the library about y'know human evolution, paleontology, dinosaurs, paleoarcheology ... I read Howard Carter's original 3-volume set on discovering King Tut’s tomb. I have read so much science anthropology that its not even funny, but yet I write fantasy. JSM - Is that research? Or just that this is what interests you & draws you and you've gotta be reading something new & learning something more? JM - It's what draws me. I'm curious all the time. I want to understand how people function, I want to understand how the world functions, and reading Jane Goodall's books about the chimpanzee's or reading Lewis Leakie's books about discovering early humans, all of that fascinates me. And it keeps me entertained. I have never been a person that likes the classics. I know a lot of people think this is heresy, but I can't stand to read Jane Austen. It drives me crazy. If anything I think studying psychology may have made me a better writer. Because I understand characters and motivation and studying abnormal psychology probably helped make my bad guys worse. JM - The first story I remember writing and finishing,I was eleven. And I showed it to my best friend's mother, who took the story and kept it because she said that what I had written was inappropriate for an 11 year old girl. JM - It was very helpful. And on the one hand I was like, she kept my story, and on the other hand I was like: wow, I had an impact. 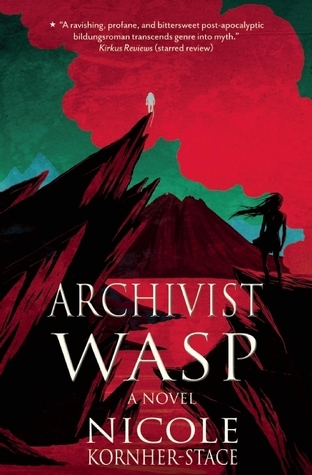 JSM - We’re going to move now to Jaime’s connection to fantasy and historical fantasy, and moving on from the spaceships of Bradbury and Heinlein. You’ll be shocked to learn there’s a library involved. JM - It was kind of a discovery and a revelation, because what I found in the bookstore was mainly male SF writers, and then we moved to a different place, and I'm going through the library, and I found these books, a series of anthologies that Pamela Sargent edited called Women of Wonder, which were a mix of SF and I believe there was some fantasy in there too, but it introduced me to all these authors I had never heard of before, and they were all women. And I was just, I was like, wow! So I started looking, consciously looking for these women. And a lot of them wrote fantasy. 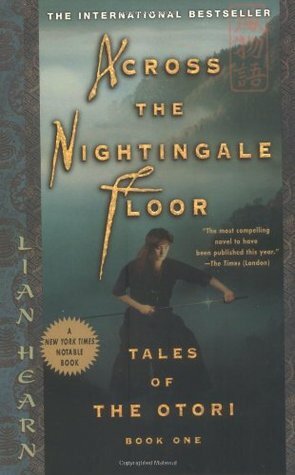 And that's how I discovered Anne McCaffery, Mercedes Lackey, Vonda McIntyre, Barbara Handley, as I'm chasing these authors down the rabbit hole and trying to find books by them I found books by other women, and once I got into that kind of fantasy, I didn't leave. It was amazing. JSM - Now McCaffery for me was always, like my images are always gonna be Lessa sort of afraid and seeing the dragons for the first time, and being introduced to the little wyrmlings, the dragonets or whatever they're called, but I remember that having very strong, kind of visual & having a scene that sort of jumps out & is in my head. Is that the sort of connection you made there? Or was it characters? 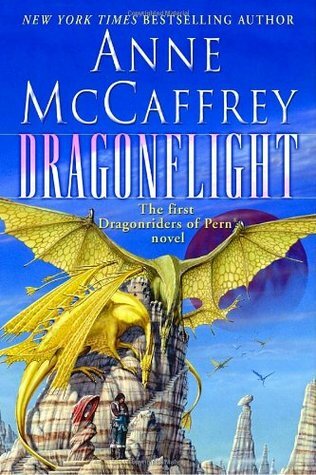 JSM - I'm pretty sure that Dragonriders was the first book I fell asleep reading. JM - I can't say that, but I, once I discovered these books I just ripped through them as fast as I could. Everything I could find, and I found Ursula Le Guin, and that was like instant love. The Wizard of Earthsea, loved those books, just loved them. 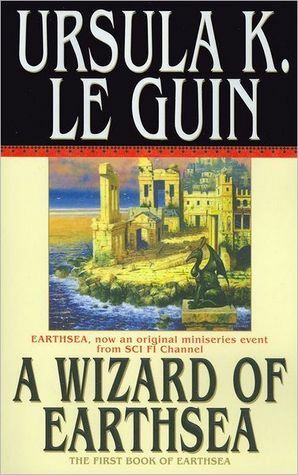 And I love her science fiction too, but the Earthsea books were the first ones that I read, and they were just astonishing. Barbara Handley's books were astonishing to me. She doesn't get the recognition she deserves. JM - She wrote two books, two vampire books that to me are probably the top 2 vampire books written before, y'know M L Brennan started her generation V series. They're called Traveling with the Dead and Those Who Walk The Night. 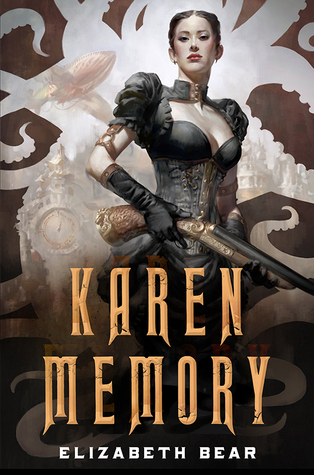 They're set in like a victorian era England, and they were amazing, they weren't like other vampire urban fantasy that was out there that I'd been reading. They were incredible. They're still incredible. People will read them until their copies fall apart & then hunt down new used copies because they're out of print. So, y'know, Barbara Handley is amazing. 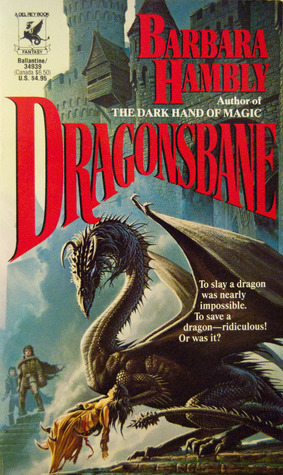 One of my favorite fantasy books is one that she wrote called Dragonsbane about John & Jenny who are older, they're parents, and they are like it was one of the best books I have ever read, because y'know Jenny has to make choices she has to decide between whether her husband and her children come first or whether she's goes off & does this other thing, and they were incredible books. y'know they're part of a series too, and I loved 'em. I loved all of it. JSM - Jaime came onto this episode to talk about historical fantasy, a genre I’ve heard discussed more than read. 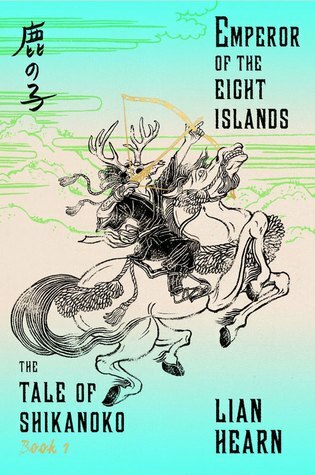 JSM - This is pretty far out of my wheelhouse because I tend to read or have been reading the sort of big secondary world vaguely medieval but the point was not really to capture any essence of medieval fantasy, and I've sort of dabbled in historical fantasy a couple of times, but not a lot. Can you maybe talk a little bit about what that is, and what are some of the hallmarks of the genre and some of the books that really define it for you? JM - Historical fantasy can be a lot of different things. A lot of what I see defined as alternate history I think is really historical fantasy in disguise. 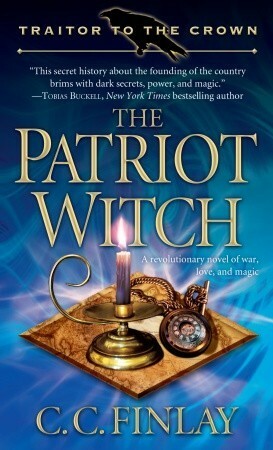 In some ways steampunk is historical fantasy because it's set against the backdrop of the victorian era and uses a lot of those different tropes and shorthands, and then there's there are writers like Charlie Finlay again, he put out a series of novels set during the revolutionary war that dealt with magic and witches and wizards, but he peopled his novels with real historical figures, historical figures were the characters, and then there's the kind of historical fantasy I write & I believe Elizabeth Bear writes, and there are other people out there, Marie Brennan with her Lady Trent memoirs. The history is the backdrop for the characters, and that's the way I like, that's my favorite kind of historical fantasy - to where the history is what goes on around the people in the book, and around their story & they're just living their lives just like you would or like I would. And that's how I like to write historical fantasy & that's my favorite kind to read. JM - yeah, with the dragons and the made-up countries, but they still have that same society to them, that happened in that, in an equivalent time period in the united states. Mary Robinette Kowal's books are the same way. Things like that. I love historical fantasy where the characters are an integral part of the world but the history itself is not the story. Just like we might be concnered about the presidential election, they might be concerned about getting women the vote. And my characters are. For instance, in my trilogy, WWI is always there, because the trilogy takes place during those years, and people could not escape it if they wanted to, and every once in a while it reaches out & it touches their lives. It taps them on the shoulder and reminds them it's there. There will be newsboys on the corner, they called them newsies then, they were usually barefoot children and they would be standing on the corner shouting the latest headlines from Europe, refugees fled to the United States, fleeing the war, so there are reminders, but it's not the centerpoint of the story. JM - If I want to read history as the centerpoint of the story, I will read a biography or a history book. JSM - Yeah, I think so although I don't, I don't know enough of that period to recognize the references, but I've heard from people who do that it's recognizable. JM - Yes, so y'know you can take any period in history and read it and let it churn and mix in your brain and spit out a totally different story that still has a historical background, y'know it doesn't have to say "hi, this is about the year 1214", y'know it can be, but it has to be ... based in that, it has to have some foundation, or it doesn't come across as a realistic world. Readers aren't gonna invest in it. JSM - I’ll note for those interested that there’s also a new Liam Hearn series coming out - I’ll have a link in the show notes. We’re going to take a break now to run a review of one of my favorite books - Sorcerer of the Wildeeps. Those of you who follow on Twitter or listen closely are probably aware that I adored this book. I read a review by Leslie Light of the website BlackNerdProblems that captures the book extremely well, and Leslie agreed to read it for the podcast. JSM - Again, thanks to Leslie for that review - I’ll probably be experimenting with running a few other reviews on the podcast. Let me know what you think, or if there’s a piece you’ve really enjoyed somewhere. Now we’re going to return to the discussion with Jaime about the importance of fantasy, and also add a few more books to your To Be Read pile. JM - I think one of the joys of writing fantasy is being able to write the world you want to see, to a certain extent. I'm not thinking in terms of message books, but in because you're building a world basically from scratch even when you're doing historical fantasy, you can change things around and give people a view of the way it could be, or the way you'd like it to be. JM - And I think that's one of the best, the very best things about science fiction and fantasy. They used to say that SF was the literature of ideas. I think it still is, I think fantasy is to, and you can show people things in a story that you couldn't just come out and say to them. JM - And that's one of my favorite things about genre. Hands down. That and keeping the sense of wonder. Y'know I never ever want to lose that wow factor when I'm reading a book or when I'm writing a book, I always want to amaze myself and I want to be amazed when I'm reading. 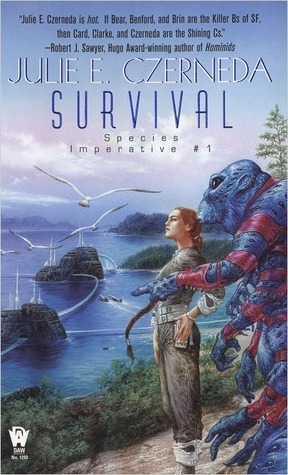 JSM - Yeah, I just finished Julie Czerneda's Survival which is the first book in a trilogy that she's got and it's science fiction and it's a scientist who's a, she studies salmon in a near-future earth that's part of an intergalactic civilization and she makes friends with an alien & discovers a great possible threat to all life, and the book kept reminding me that there was this human and this human with a kind of small worldview and focus, she'd been very focused on doing her science and studying her salmon and sort of ignoring the outside world as much as possible, reminding me that there was this human who didn't know all that much who was interacting with an alien and an alien with a different physiology and a different psychology and I've found one of the things, like I think there are a lot of different ways to think about and read let's see if I can remember how you said it - the world that you would like to see, or maybe making possible, or showing the world as it could be, and I really like when a book - if it's a science fiction book and it's making me more conscious of and thinking about a way to look at the world and a way to see how different species are interacting and a way that those differences kind of drive some level of tension and friction, and thinking about societies and how societies could function and who's in the background and who's in the foreground and I am reading a book right now that in some ways is really trying to have more equitable gender dynamics but at the same time there's just this background threat to women, sort of if there are some characters in the background and if there is an evil knight around (because it's got a medieval setting), probably the way that the badness of the knight will be shown is going to involve a threat towards women, and it's interesting that now I'm noticing that, and I'm seeing that in the books I'm reading & I'm seeing that & realizing there's an authorial decision there, and that's a perception of the world, but you see that enough & it sort of becomes an assumption about how the world works, and so I do - what you said about being able to show the world as it could be or the world the way you would like it to be really registered for me, because I know some of the things I've responded to in books (both positive and negative) are ways that the world is being shown to me as I don't see it right now, because books have that possibility. JM - Books are powerful - they really are, and you can't forget that when you're writing. If you're a reader you can forget it sometimes, but you can't forget it as a writer because the words you put out there will affect somebody somehow. One of the best days of my life was when someone new I met on Twitter through another friend & I friended her - she told me that she'd read my books multiple times & they were her comfort reading, and I was like blown away. And I can't forget that people I don't even know, that something I write could have this affect on them. And that's why I'm very careful about what I write. I'm very careful about how I portray women in my books, um, in the series I just finished, the first book has six women main characters. JM - Y'know and women are the main characters. Tehre's two guys that go through the book the whole time - Gabe and Jack go through the whole series. But there is no doubt that the women drive the story & they are the protagonists. 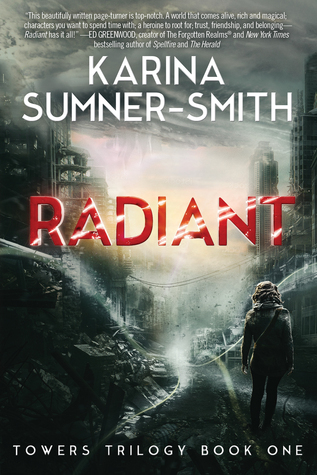 I just read two books recently that illustrate this, they're by two new writers, one was called "Radiant" it's the first book in a series by Carina Sumner-Smithe and it is an amazing book about a young girl in a post-apocalyptic world who ... is rare for the fact that she doesn't have any magic. Magic is the currency in this world, and she doesn't have any, so she's the lowest of the low, but she can see ghosts, so people will pay her off in magic to deal with their ghosts. And the way she evolves and the way the world evolves in this book is incredible. I fell into that book and immediately fell into the second one and I just got the third one and I can't wait to read that. JM - But it's incredible and she discovers there's so many things in her world that she didn't realize existed. And so many layers and lies and other stories and y'know it, I loved it. 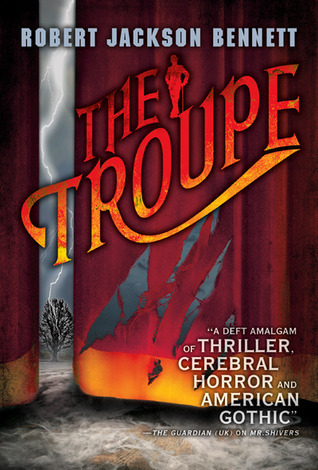 JM - I'm about 150/160 pages into City of Stairs, and it's not the first of his books I've read: I read Company Men first and I read the Troupe, and The Troupe could be looked at as historical fantasy because it's set like in the 1930's in a vaudeville troupe that travels around the country. And it is one of the wierdest books I have ever read. JM - But wierd in that vastly entertaining y'know way, and it made me cry at the end and there's no higher praise from me than for a book to make me cry. So you should read his books. JM - The Martian Chronicles by Ray Bradbury. JM - I read that book I don't think I was even fourteen yet. I read it again later, late in my teens. But the visions of the martians in their crystal spires, and y'know dark they were and golden-eyed, I have never forgotten that: the visions of Mars that Bradbury put into my head will be with me my entire life. And Bradbury taught me as a writer that you can write the most beautiful poetic prose in the world, and scare the crap out of people. JM - I will never forget the Veldt, although that wasn't part of the Martian Chronicles, but I read all his books: I read Dandelion Wine, The Illustrated Man, Golden Apples of the Sun, R is for Rocket. I read all of those books, and at one time I owned all of them. I loved all his stuff, but the Martian Chronicles will always live on with me. The sands, the canals, the town that they built, the american settlers built on Mars that transformed into a martian town and they became martians ... all of that just blew me away and it will always be with me and be one of my very favorite images in books.